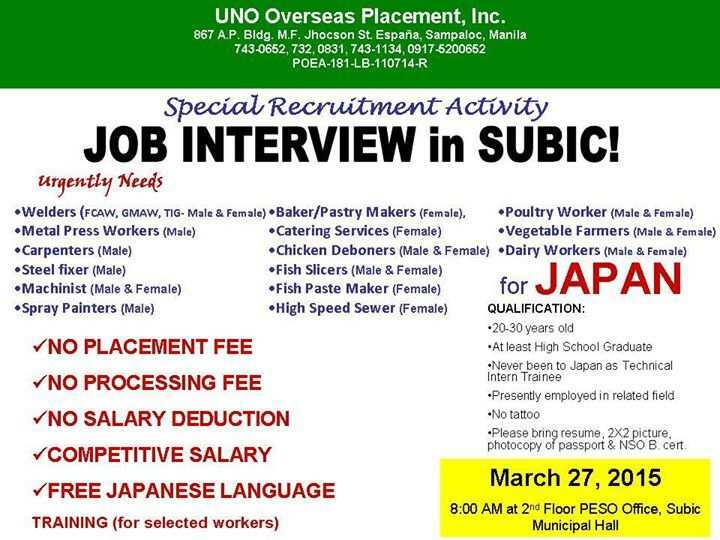 POEA accredited recruitment agency, UNO Overseas Placement Incorporated will be conducting a job interview in Subic, Philippines this coming March 27,2015 for their job openings in Japan. Checkout the qualifications, skills, and work experience needed by the agency. 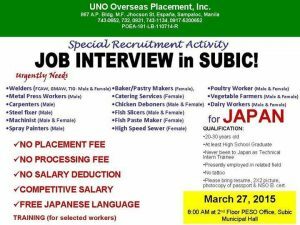 The interview starts 8:00AM at second floor of PESO office, in Subic Municipal Hall on March 27,2015. 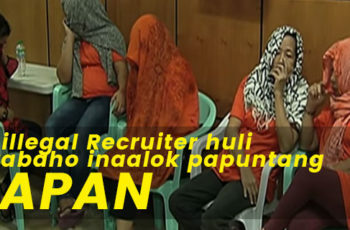 UNO Overseas Placement Inc. formerly known as MECHPHIL OVERSEAS PLACEMENT AGENCY is a landbased agency accredited by POEA. Its has valid license starting November 4,2014 until November 3,2018. The agency is located at 867 A.P. Building M.F. Jhocson Street Espana in Sampaloc Manila. Applicants can call their office thru these numbers 743-0652 / 732-0831 / 743-1143. 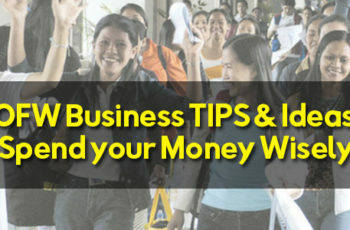 These 4 Business Ideas For OFWs Will Generate Income More Than You Think It Would! 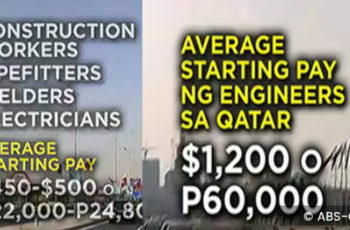 Sir/maam, i would like to introduced my self im Ador B. Lejido ,im 39yrs old,married, two children, i am a skilled worker, as of now im working in Saudi Arabia as mechanic at the present but also i am a machinist, welder, heavy equipment operator, driver . 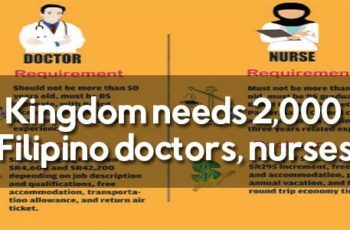 Thank you and Godbless..
How can i past my resume im still here in saudi i am interested to work in japan..
U can see my c.v upon request…. 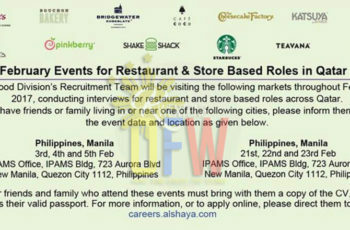 I’m willing to apply for job order as catering service. I’m going to Philippines on April 2015. As of now I’m here at Kuwait, working as domestic helper.